Few American tablet owners are coming online through a mobile data connection. 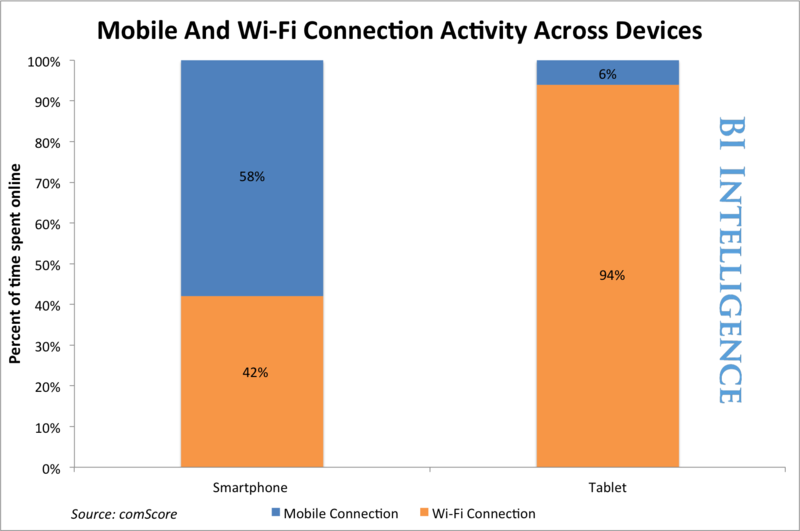 According to comScore, 94 per cent of tablet Internet use comes over a Wi-Fi connection. That seems to support previous studies, which found tablet use largely confined to the home (although it could also happen at the office or a café). There’s a basic reason for this behaviour. It isn’t necessary to have a data plan with a carrier to make tablets operational nor, given data costs, is it always advisable to purchase one. In any case, the results reinforce that the two mobile devices, often lazily grouped together, have entirely different usage patterns. Smartphones are the more truly “mobile” device: we carry them everywhere with us. Tablets remain more of a “lean back” device used most frequently in the home, in ways similar to desktop and laptop PCs. Developers and advertisers are well-advised to take note.